Event cleaning service of TKT Cleaning provides housekeeping, cleaner, maids: Flexibility – Professionalism – Dedication and commitment devoted to the benefit of customers. 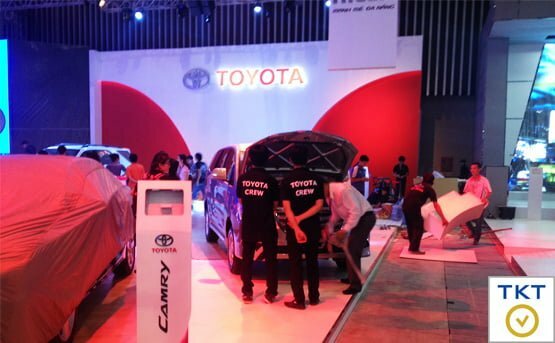 When you organize big events: exhibitions cars, motorbikes, industrial machinery & equipment, construction … or the New Year celebration, Christmas, International Women’s … or the event customer appreciation … you really want place, products, showroom always look clean. However it is difficult for you to hire a large number of employees, as well as equipment and chemicals in a short time to clean. For reasons of time and cost savings, you can refer to events sanitation services, providing housekeeping staff for events. TKT Cleaning is one of the leading cleaning companies in Ho Chi Minh City providing event cleaning services, hiring hygienists for events with flexible time and requirements. 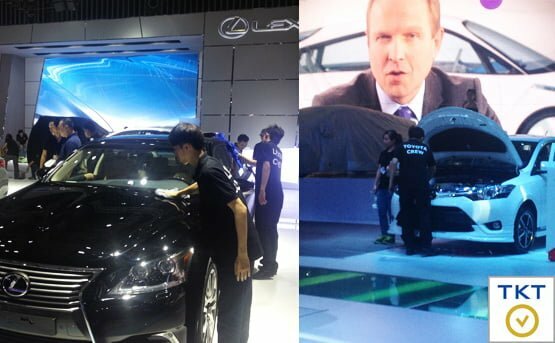 We have experience in cleaning major events, luxury like Motoshow, New Year, Festival Music … and many other events. With the appreciation of the partners that event sanitation services, providing sanitation staff for the event that TKT Cleaning has served, we believe will satisfy YOU CUSTOMER. Please contact TKT Cleaning, so that we have the opportunity to meet, advise and quote the best price for customers. When you hold a big event, keeping the whole event clean before, during and after the event is not easy. It is very difficult for you to find a professional sanitary technician that meets your requirements. Because of urgent requirements, only do in a short time. Staffing for the event makes it difficult for even sanitary service companies. Because it is difficult to recruit in a short time and do a few days then stop service. Moreover, the high intensity, continuous work of not all employees can meet. In addition, you will save on equipment and chemicals when renting event cleaning services, as they are available such as dry dust mop, wet mop, rubbish bin, garbage bin, glass cleaner , vacuum cleaner..
TKT specializes in providing event cleaning services for large events that require more than 10 to 50 employees in a short period of 2-5 days. With experience in the field of industrial hygiene, as well as providing event-based sanitation staff we are confident to meet your requirements. Base on type of event: outdoor event cleaning services, event clean up service, after party cleaning prices… we will revise and give customer the best price. Also requirement of cleaner quantities and equipment also lead to change of price of event clean up. 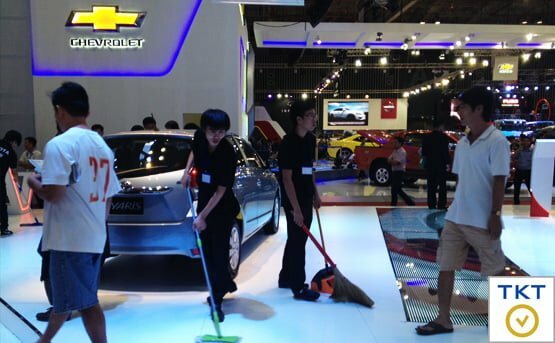 TKT Cleaning is looking forward to becoming a reliable, long-lasting partner of CUSTOMER for EVENT CLEANING SERVICES.